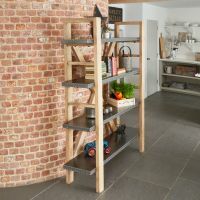 The cross back of the Kuba large bookcase adds something special to the stunning design. 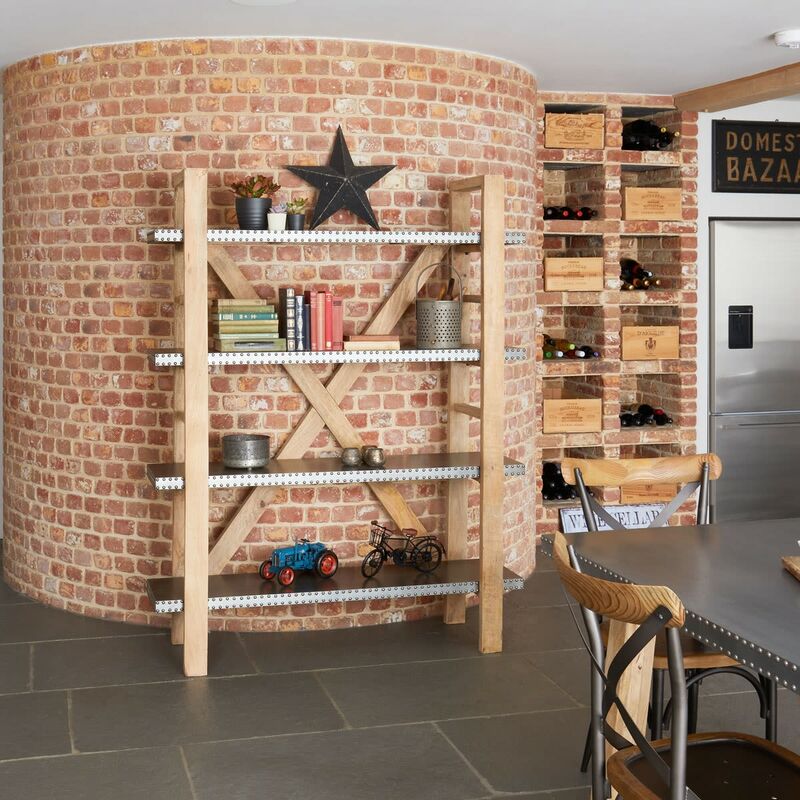 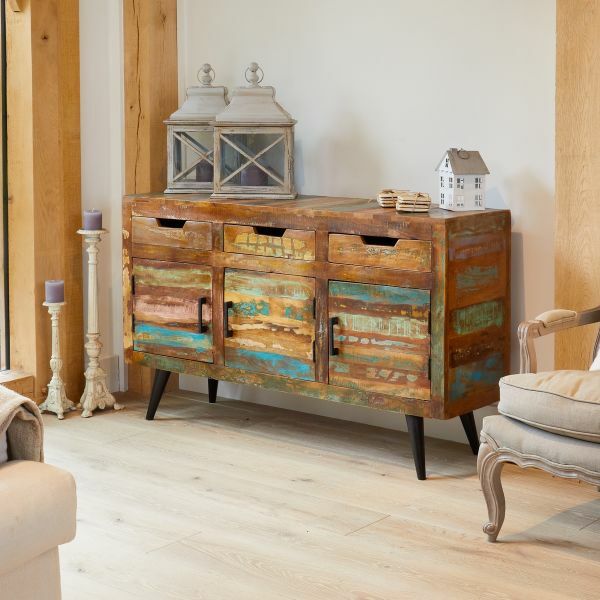 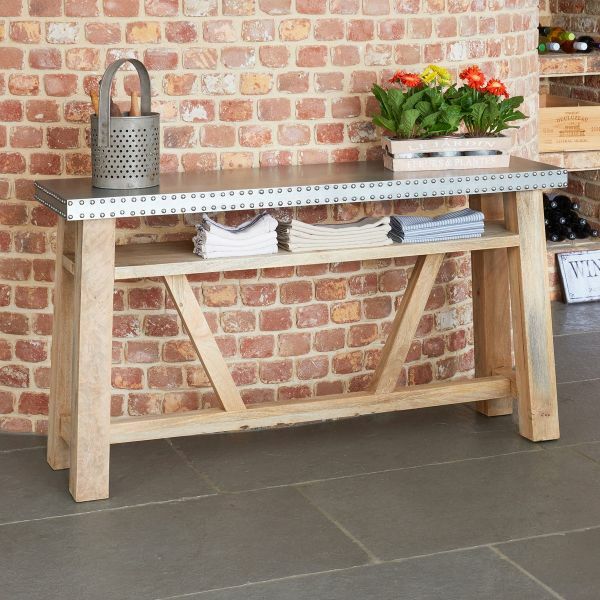 Showcasing beautiful natural acacia wood with the striking contrast of studded zinc, the design is a guaranteed talking point and a simple way to introduce the industrial look into your living room. 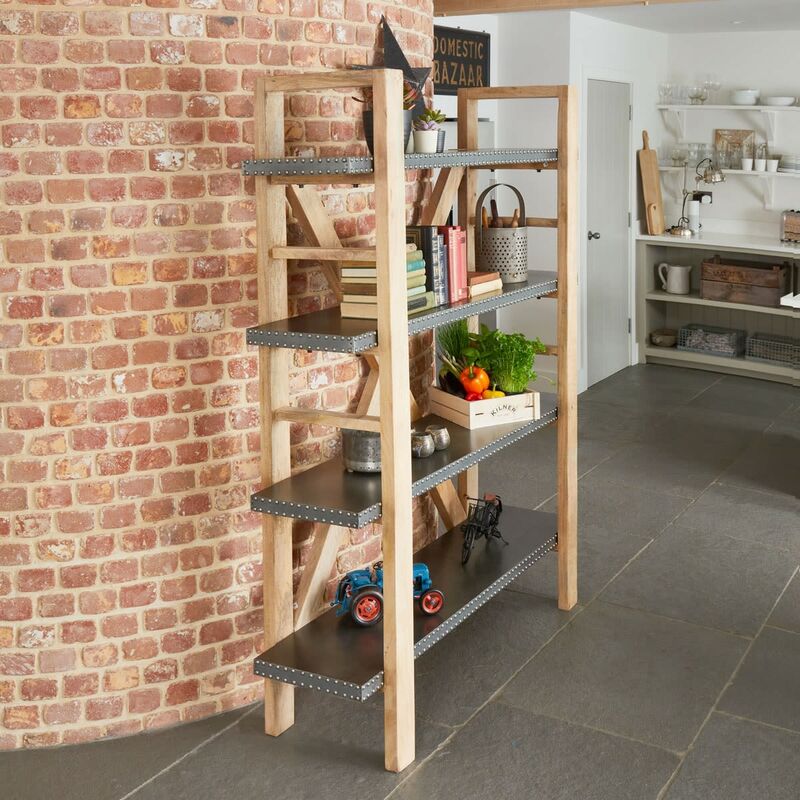 The bookcase is finished with a clear oil to enhance the natural beauty of the wood and protect from everyday wear and tear.